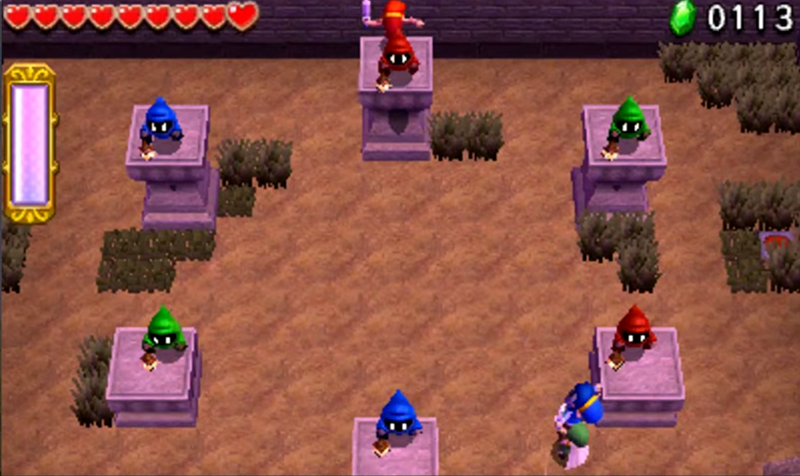 The settings of the Zelda series are rich in culture and rich in history. Every location that Link may visit can be seen as the culmination of years of progress and development. Sometimes this history has resulted in a sprawling city or certain technological achievements, but more often than not, the years can cause a settlement to fall to ruin. A person can find plenty of abandoned villages or ancient ruins while exploring the worlds of Zelda; some of these places might even be considered “ghost towns.” And every so often, in the most special of circumstances, a ghost town takes its name quite literally. It’s takes a special type of ghost town to contain actual ghosts within its walls. So join us as we visit the most haunted and spectrally-charged ghost towns in the Zelda series. 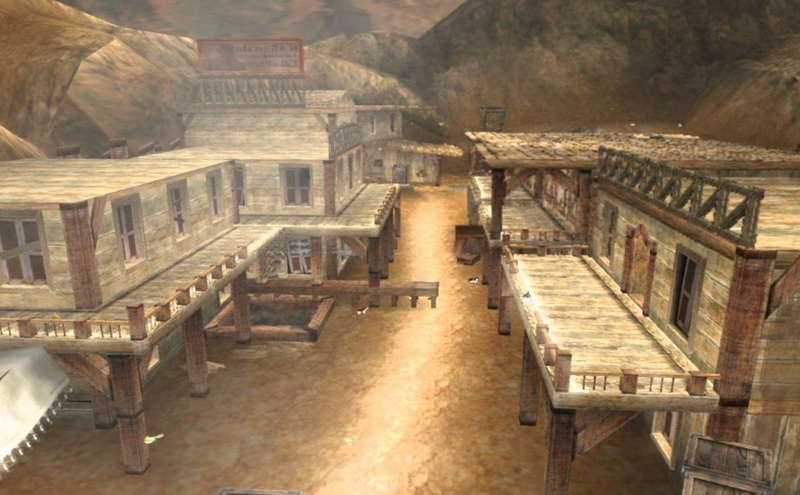 By the most Western definition of the term, Twilight Princess‘ Hidden Village is perhaps the best ghost town in the Zelda series. This dusty, dilapidated town seems ripped straight from a Spaghetti Western film, with high wooden buildings, horse troughs, wanted posters, and an overall desert-y aesthetic. I’m sure the Sheikah that once lived here rustled up their fair share of cattle and took part in a few wily shootouts. And just like the great ghost towns of the Old West, a certain air of mystery remains in this little town, as if lost souls still linger in the shadows. 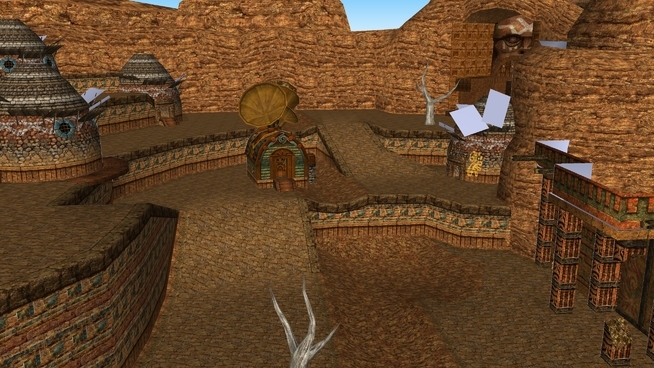 The Hidden Village is said to have “belonged to the tribe that protected the Hylian royal family long ago,” but the population “dwindled in the prolonged wars…” The village eventually “fell into decline, and became infested with dangerous beasts,” becoming a truly “awful place.” And much like with the victims of the gunfight at the O.K. Corral, a superstition may exist surrounding those killed in these protracted conflicts. Ghosts of the Sheikah and their enemies may still roam the streets of the Hidden Village. Unfortunately, as likely as hauntings may be in this old town, Link finds very little here in the way of the supernatural. If our hero visits the village at night, he may find a single, solitary Poe floating over one of the wooden balconies. The ghost of a saloon patron, perhaps? In any case, once the Poe has been properly dispatched, the Hidden Village stays completely ghost-free. 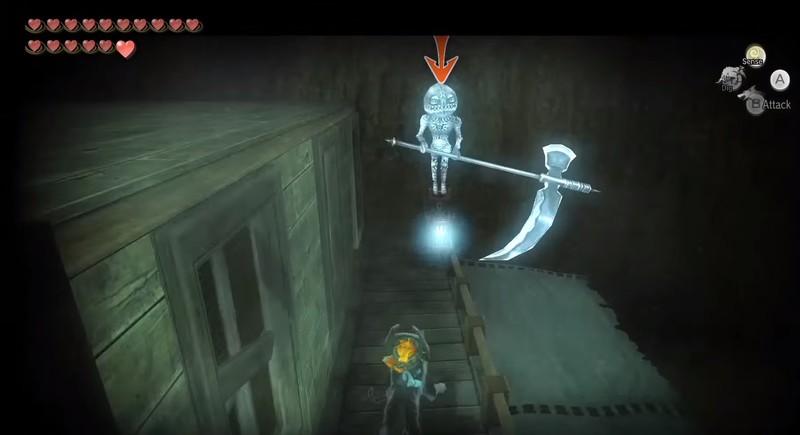 I suppose we’ll just have to hope that we one day return to this Sheikah stronghold in a future game, but with some added haunts for good measure. The Hidden Village’s Ghost ranking must match the number of ghosts found among its streets. Ghost Rating: 1 out of 5. One of the most emotionally affecting moments of Ocarina of Time comes when Link first re-enters Hyrule Castle Town after being sealed away for seven years. In that time, Ganondorf has taken power, driving the good folk of Hyrule away and plunging the kingdom into a dark and twisted depth. As witnesses can attest, “people in the Castle Town have gone, places have been ruined, and monsters are wandering everywhere.” The town and its marketplace have been abandoned, leaving it to become a ghost town of sorts after so many years of disrepair. 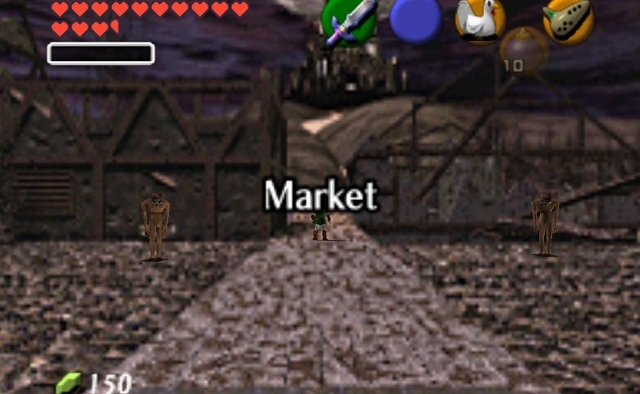 But the Market Ruins aren’t completely devoid of activity these days. With the past residents cleared out, terrifying entities have taken their place. I’m sure the wailing Redeads stick out most in our minds, but there just so happens to be some ghostly presences in the ruined town as well. That’s right, the remains of the Hyrule Castle Market is now home to the kingdom’s most prolific and profitable Ghost Shop. The mysterious Poe Collector has set up shop in an old storeroom near the entrance of Castle Town, and I’ll tell you, business is a-boomin’. As the ghost peddler explains, it is “a fine time for a business” like Poe collecting, due in large part to the dreadful deeds of Ganondorf. Ghostly forces, “spirits of concentrated hatred,” have since invaded the many corners of the kingdom; and the Poe Collector “can only hope the world get even worse!” What a fiend! The only good news for Link is that these Poes seem to appear primarily “in the fields and graveyard,” a bit away from the Market Ruins. 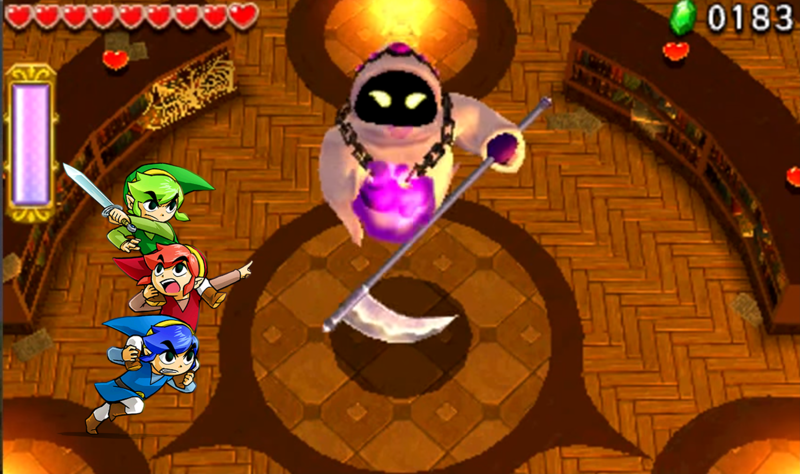 Our hero may indeed have to hunt down a few mischievous phantoms, but he’ll at least have to leave the ghost town to do so. One just has to look in the Poe Collector’s cages to find a handful of ghosties, but that doesn’t quite mean the Market Ruins are completely ghost-filled. As paranormal-obsessed Hyrule Castle Town has become, we can’t rank its ghost activity too high, as most of the Poes are found outside the castle walls, scattered around Hyrule Field. It’s too bad, actually; I’d love to have fought a Big Poe somewhere in the ruined marketplace. Ghost Rating: 2 out of 5. Travelling the far corners of the dreaded Drablands, the Link trio of Tri Force Heroes eventually enters the dark and foreboding Ruins. Surrounded by a veil of fog and a dense wood, this desolate area is home to ghosts, ghouls, and other things that go bump in the night. The centerpiece of the Ruins is Palace Noir, a gothic castle of sorts that is, without a doubt, haunted. Before the team can even enter the palace, they must first navigate the Illusory Mansion, an outdoor courtyard comprised of playful Poes, false platforms, and pools of dark matter. Honestly, I’m not really sure why the garden is considered a “mansion;” maybe years of neglect and ghostly influence caused the original structure to crumble away? In any case, this creepy hedge maze serves as our heroes’ first taste of spectral dangers. Palace Noir is the group’s next challenge, featuring dusty cobwebs, bottomless pits, and unnaturally dark corridors. Some mischievous spectres even make off with some dungeon keys, forcing our heroes to explore some of the more unsavory parts of the mansion. But as creepy as the palace appears at first, the structure becomes even more devilish the deeper Link goes. Within the bowels of Palace Noir, we find the Lone Labyrinth, host to Redeads and even more ghastly enemies. And deeper still, we find the Grim Temple, an ancient dungeon that perhaps serves as the source of the supernatural dangers found above. The Ruins no doubt fits the criteria of a ghost-filled location. So why isn’t this ghostly manor ranked higher on our list? Well, as ghost-filled as it may be, it can hardly be described as a full town. What the Ruins possess in ghostly activity, they lack in general traits of a settlement. Thus, the Ruins of Tri Force Heroes is more like a single building with layered parts, making it less a town than the higher-ranking entries. For that reason, this petrifying palace must remain relegated to Number 3. Ghost Rating: 3 out of 5. 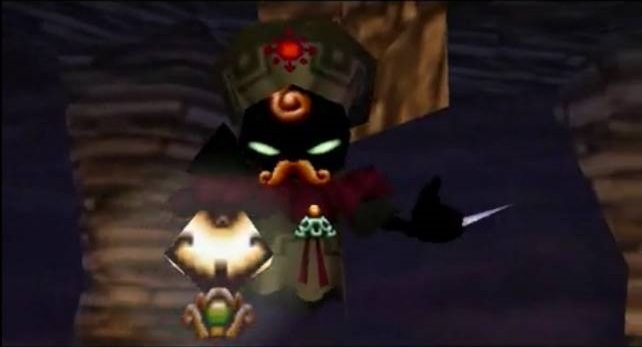 The Zelda series was expertly defying player expectations as early as its second installment; and no better example exists than in the case of Old Kasuto. While exploring the far reaches of East Hyrule, Link comes across a mysterious town known simply as Kasuto. Upon initial inspection, our hero notes that the town “is deserted.” Strange… A likely ghost town indeed. And after taking a few meager steps into the abandoned village, Link is assaulted by invisible forces. Oh no! Only after obtaining a Cross from the Third-Eye Rock Palace can our hero even see his assailants. To his surprise, Link finds that terrifying Purple Moas now make up the population of the town. These floating, one-eyed ghosties swarm the empty buildings of Kasuto, waiting to accost any poor soul that is ignorant enough to get close. Link learns this lesson the hard way, as these Moas consume both his life and experience points with each strike. What has happened to the original inhabitants of the humble village? Well, the sole survivor of the ghost invasion has the answer. An Old Man hides in the basement of one of Kasuto’s homes, patiently waiting to share the plight of his people with unlucky travelers. He tells Link that “the town is dead,” and instructs the young man to “look east in the woods.” If I were in Link’s position, I would have definitely taken the old man as a ghostly apparition, a dirty trick by the Moas. But our hero, as trusting as he is, complies with the wise one’s instruction and heads east. Link eventually finds the Hidden Village of Kasuto deep in the forest (by apparently swinging his hammer wildly against the trees). He learns here that the villagers “had to flee Kasuto” due to the Moas’ intrusion and thus establish a new town, a “New Kasuto,” if you will. The Old Kasuto name makes much more sense now. Anyway, the Kasuto residents are able to carry on their lives in a new home, while their old one lays dormant, save for a swarm of supernatural pests. Old Kasuto is true town of ghosts. Ghost Rating: 4 out of 5. 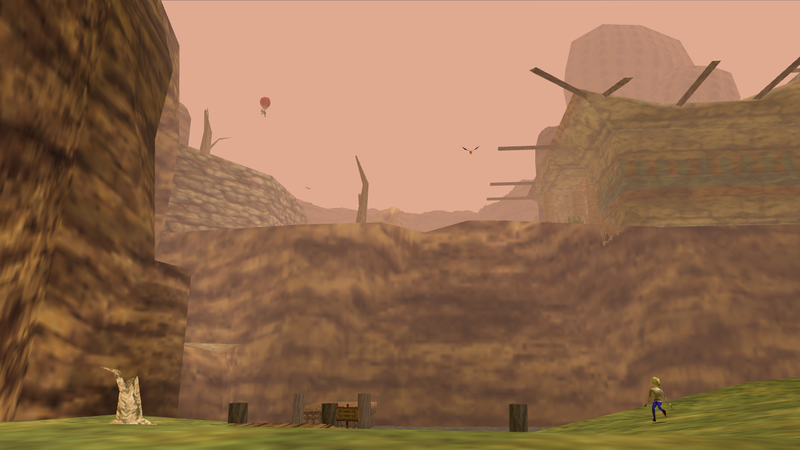 We conclude our tour of supernatural settlements with Ikana Canyon from Majora’s Mask. The once great Ikana Kingdom was “was founded on this land,” ruled by a ruthless monarch and his fearsome army. We can’t say exactly how expansive its power was or how far its jurisdiction stretched, but we do know that the kingdom fell to ruin after a prolonged series of misdeeds. Ikana became “stained with a history of darkness, drenched in blood;” the actions must have been so heinous that the gods saw fit to punish its residence into the afterlife. While the physical kingdom is well beyond its decline — a ghost town in the truest sense of the word — it’s still a “place where troubled, regretful spirits gather.” Vengeful ghosts lurk in the canyon’s caves and crevices, undead beasts wander aimlessly in every corner, fallen soldiers gather in the graveyard every night, and the rotting remains of the king still watch over the cursed land. I could spend paragraphs upon paragraphs describing the paranormal entities that call Ikana their home; the Poe Collector and his Spirit House, the Gibdos beneath the well, and the spectral Garo ninjas all contribute to the ghostly nature of the canyon. But perhaps the most sinister is the ghost composer Sharp and his deathly tale of damnation. It is said that Sharp “sold his soul to the devil” and locked his own brother away in a grave due to unending torment. He now wallows away in the Spring Water Cave, cursing the Ikana River’s source, making it as dry and empty as his soul. And if an unlucky traveler happens to enter Sharp’s domain, the composer will play a “melody of darkness,” an invitation to “join the ranks of the dead.” We know that Link can combat this evil with a song of his own, but it still sends shivers down my spine imagining those who have fallen victim to Sharp’s melody in the past. The souls of the dead flock to this fallen kingdom, with every horror imaginable manifesting itself within its borders. Link sure has his work cut out for him in healing this wretched place. Ikana Canyon is both a ghost of a town and a town of ghosts. That is why it achieves the highest ranking of them all. Ghost Rating: 5 out of 5. 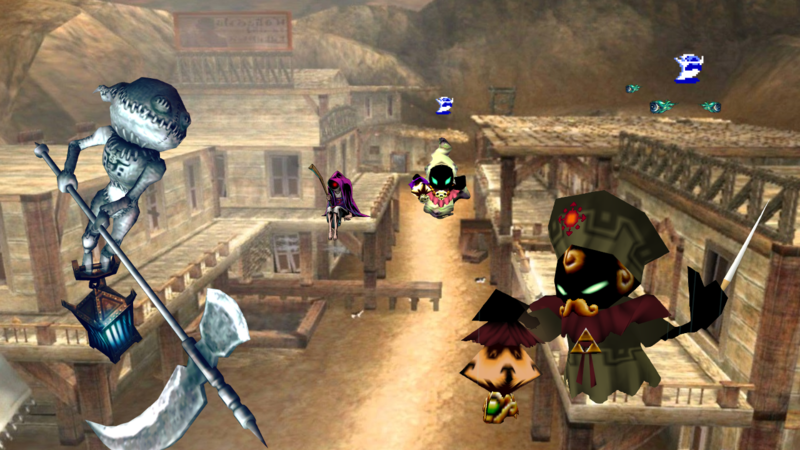 So there you have it: the most ghost-filled ghost towns in the Zelda series. We no doubt missed a few spiritual settlements, so be sure to share your favorites in the comments below! Rod Lloyd is a Managing Editor at Zelda Informer. You can follow him on Twitter right here for a bunch of video game and wrestling re-tweets; you might also find links to his past articles.